Walnut Creek BMW Service and Repair | Frank's Auto Service & Repair, Inc. If you drive a BMW, you know that “precision crafted charisma” is not just a marketing slogan. 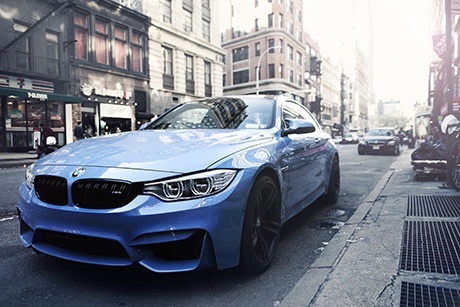 But to keep your BMW in top condition, you need a shop that offers BMW quality service – Welcome to Frank’s Auto Service – your number one Walnut Creek BMW service and repair destination. Our ASE certified mechanics combine their extensive skills with latest diagnostic tools to provide you with BMW services that are second to none. Whether your M5 has a check engine light on, or your X6 needs new brake pads, you can bring them to Frank’s Auto Service, knowing that your vehicle will be handled with utmost care and precision. And in most cases, we will have you back on the road the same day. Some of the BMW services and repairs we handle: AC recharge and repair, ABS failure, battery registration, brake repair, check engine light, water pump replacement, clutch repair, suspension repair, tire pressure monitor (TPMS) failure, window regulator failure. We work on all BMW models – sedans and convertibles, 3 Series, 4 Series, 5 Series, 6 Series, 7 Series, 8 Series, as well as the Z Series and X Series. So whether your BMW needs manufacturer scheduled maintenance, or your car is facing major repairs, you can bring it to Frank’s Auto Service knowing that your vehicle will be in good hands. As a matter of fact, if you have any questions about your car, or have any concerns, give us a call, or schedule an appointment online. We will be delighted to help.